By Laura Silverman, Edible Hudson ValleyPhotograph by Phil MansfieldIn the preface to Euell Gibbons’s seminal 1966 book, Stalking the Healthful Herbs, Elizabeth..
Good Fight Herb Co. organically grows and gathers medicinal herbs for handcrafted, small batch products that promote self care and thriving health. 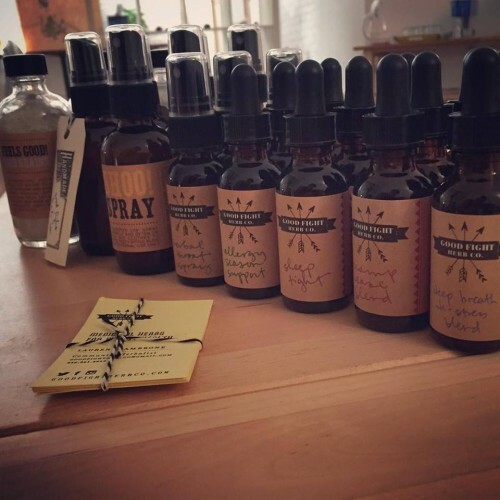 In addition to a diverse product line available at markets, stores in the region and in our online shop, we offer a 4 season Care Package Program (an herbal CSA), classes and individual health consultations. 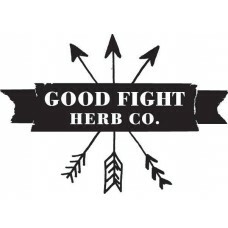 Local Purveyors: We organically grow the majority of the herbs used in our products, and wildcraft some on the land and woods where our garden is (Germantown, NY). 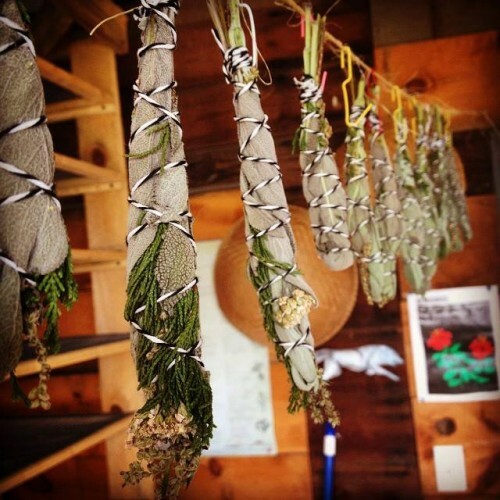 there are some herbs we source from local farmers when needed: Whistle Down Farm (Hudson, NY), Sparrowbush Farm (Hudson, NY), Blue Star Farm (Stuyvesant, NY), Remedy Farm (Pine Plains, NY), Farmhand Flowers (Doorloo, NY). Production Methods: All is done by hand! 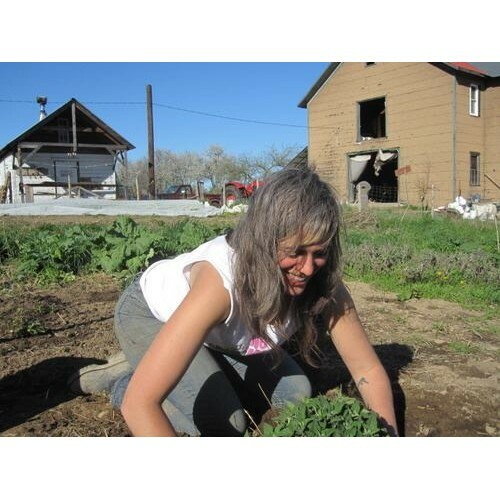 gardening, harvesting and processing. Made using organic ingredients, Gluten Free, Non-GMO, ethically wildcrafted. 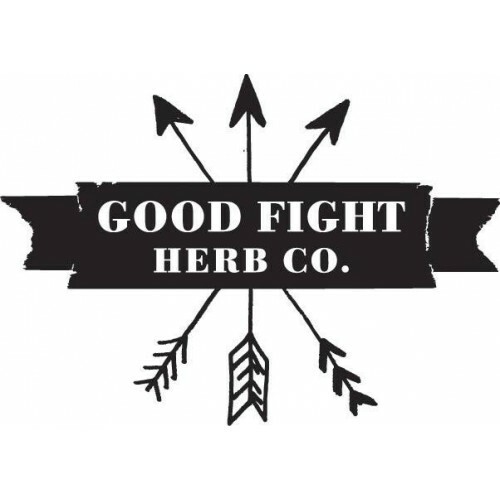 Where to Find our Products: You can find Good Fight Herb Co. weekly at the Hudson Farmers' Market and Rhinebeck Winter Market. We also offer a 4 Season Care Package Program based on the CSA model that runs from May through November. 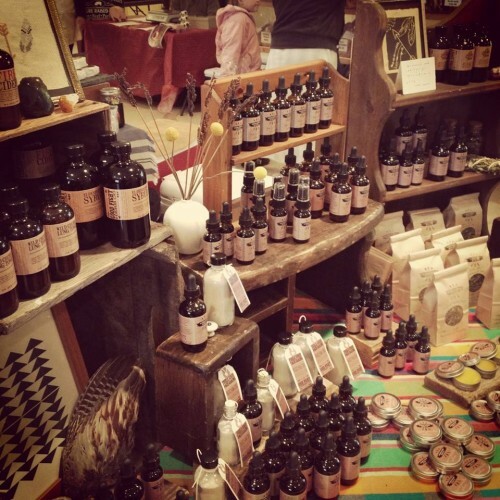 Throughout the season, find us at specialty markets including the Hudson River Exchange Summer Market, The Half Moon Market, Hudson Valley Hullabaloo and the Basilica Farm + Flea. We are offered at a variety of local retail outlets including Verdigris Tea (Hudson), Watson's Cabinet (Hudson), Woodstock General Supply (Hudson), Hawthorne Valley Farm Store (Harlemville), Fort Orange General Store (Albany), Tivoli General (Tivoli), Germantown Variety (Germantown), Isabel's Kitchen (Pine Plains), Chaseholm Farm Store (Pine Plains) and Sol Flower Farm Stand (Millerton).